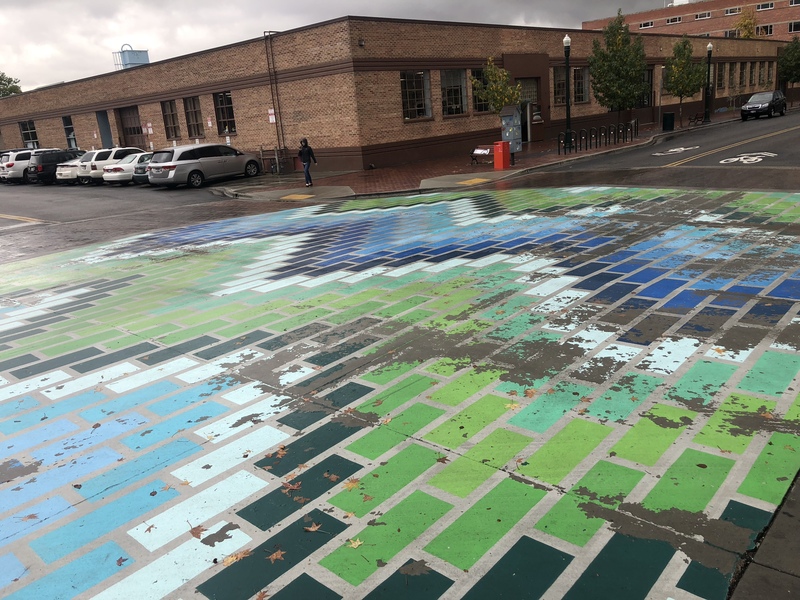 The ground mural project at 8th and Fulton will be scraped of the ground this weekend, according to a release from the City of Boise’s Arts & History Department. The artist will remove the project this weekend at no additional cost to taxpayers, the release said. The intersection will be closed Sunday while the work is performed. A brand new art project in Downtown Boise is already in bad shape. 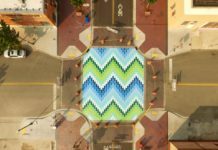 Sign company Trademark and artist Jason Keeble painted the intersection of 8th St. and Fulton St. in Boise in August – transforming the center of the intersection from plain concrete gray to a colorful array of blues and greens painted to look like bricks. 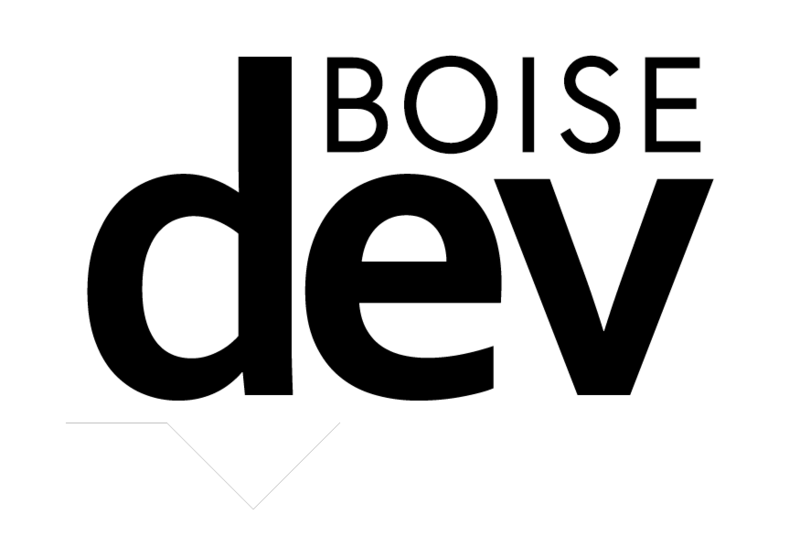 Boise City Arts & History Department described the project as an experiment, but the test isn’t holding up. 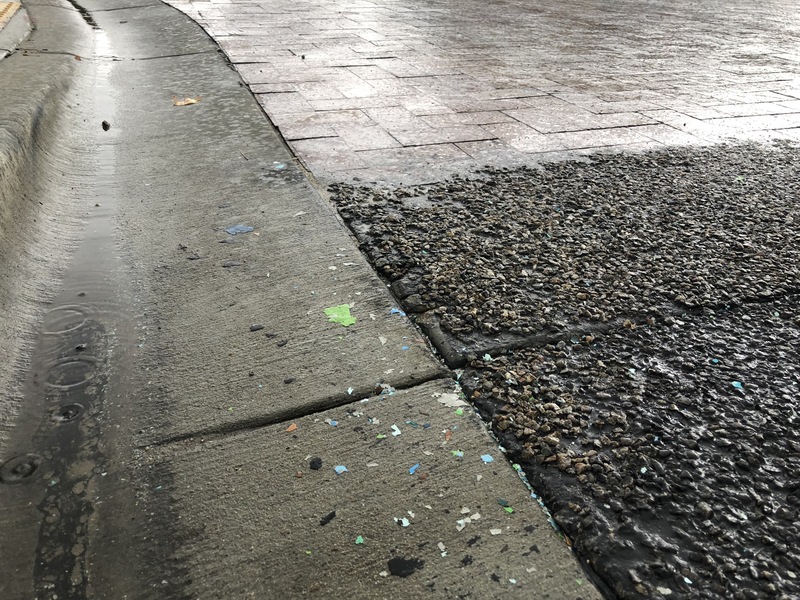 “Our public art team met with the artist this afternoon to inspect the damage, which is seemingly caused by the recent rain,” arts & history executive director Terri Schorzman said. 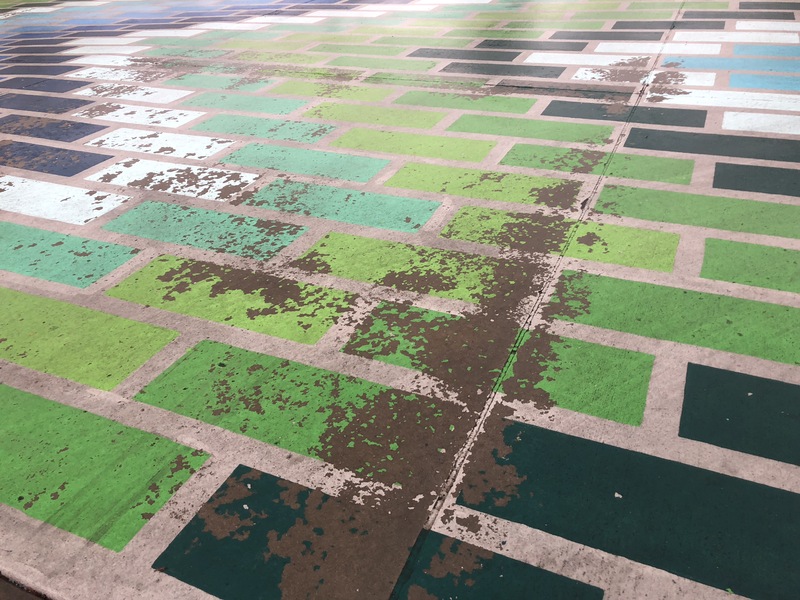 The paint treatment is flaking off the ground surface, particularly on the corners of the treatment where vehicle and bicycle tires meet the road. 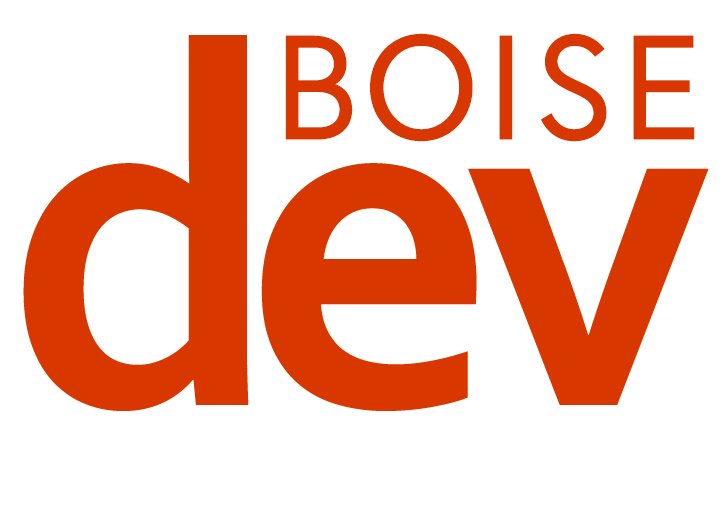 Money for the project came from the Capital City Development Corporation, and the two agencies worked with the Ada County Highway District which owns and controls the roadbed. Arts & History hoped to leave the mural in place for a year and reevaluate, but the project isn’t holding up well enough for that. We are promised the proposed new events center/downtown library will last “for 100 years” … yet the City’s Sherwin-Williams civic street painting idea lasted for barely a month, the Boise Depot street art mosaic had to be chiseled off after a few years, and the City’s cost estimates (according to the Idaho Statesman) for new fire stations were off by as much as 50 percent, to name just three recent foul-ups. 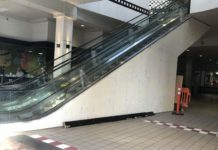 These are the kinds of avoidable missteps that provoke citizen alienation and discontentment, like what occurred during the downtown stadium confrontation last spring, when projects are forced on the citizenry before a compelling case for proceeding has been made. Perhaps we should all take a step back, invest a lot more time thinking through these costly municipal ventures, talk to the taxpayers in a more meaningful and inclusive way, and move forward deliberatky, as a community, with everyone on-board. “Growth” that poses great impact for this city’s landscape, livability, and collective wallet demands better performance from our leaders.